Hi! Do YOU Have a Biodome Question? Either way keep in touch cause what’s the point of having a blog if you don’t get some feedback! I have sent Kacper an email asking what is going on with the geodesic greenhouse ebook link. I have a farm in northern Vermont, and I am researching on types of passive solar greenhouses for commercial production. Can Kacpar’s dome design (especially the hubs) stand up to snow and wind loads of a northern winter? Also, do you know if these domes are used commercially at all? Kacper’s biodome idea is similar to many other types of geodesic dome designs. The biggest concern that most people have is adequate insulation and waterproofing. double the weight of your most aggressive winter snowfall and see what happens. Why a geodesic dome and not a frame type greenhouse? It seems that you’re very keen on the geodesic greenhouses. After reading your posts I got excited too, especially at your comment that the dome shape is the most efficient use of space (since I only have an urban lot). Then I did my own math and got really confused – may be you can help me there? I used the online calculator http://www.geo-dome.co.uk/article.asp?radius=1.5&diameter=&floorarea=&surfacearea=&volume=&circumference=&blogid=188&Uname=5in1&nome=&email=&FCKeditor1=&Submit=add+comment to figure out the volume of the geodome and then compared it to the ‘square shaped’ structure. If I use a rectangular greenhouse with 15m2 floor space and height of 2.2m, I would get volume of 33m2 (15×2.2.). And then I am not limited to 2.2.m height in this case, I can go taller, maximizing the space use even more? PS your friend Kacper has excellent marketing skills…He managed to compare $500 of the wood he used for the lumber on greenhouse frame to the cost of the greenhouse kits which include dome base, water tank, fan, proper glazing, solar panel, etc, etc. And in his book he only mentions the water tank, not even touching the underground heating system, which is paramount in the Northern climates. Here are my thoughts on you questions/concerns. The volume of the dome is largest for UNSUPORTED space. Not space overall. So if you do a clear span or truss or corbel style greenhouse you may be able to get more interior volume however since the sphere is the most efficient as well I doubt you could do it for less money or with short pieces of wood. Regarding Kacper’s price comparisons. I did an article here: http://geodesicgreenhouse.org/geodesic-greenhouse-price-comparison that showed different prices for different sized commercially available domes. Of course building your own will have costs not coverd in the basic dome building but depending on your creativity and ingenuity I have found there is always a way to do it for much less than a commercial (profit driven, middle men, transportation, etc.) solution. I suggest looking into a rocket mass heater or scavenging heat from composting what ever you can. Both can usually be done in an urban setting without too much negative attention. Let everyone know how it goes. How do you get pollinators into your dome; also what kind of pollinators are prefered?? Out in the garden no problem the insects just do their thing; what about inside the dome building? Because the geodesic greenhouse is so efficient it must be ventilated as soon as pollinating insects are out you will have vents to the outdoors. So… the insects will find your flowers don’t worry! And because the automatic vent openers are heat activated when the pollinators are about the vents will be open. Hi Sasha, I recently purchased Kacper’s fantastic book. I’m trying to get my village behind a community garden drive and also have a village devolopment trust with fund’s for project’s. My problem is that I can’t properly price my material’s for my proposal to the trustees because I don’t know the ammount of materials used? Is there a formula or calculator to measure meterage for diameter/frequency? I’m supposed to formulate my proposal in the next few week’s so any help with calculating the cost’s would be very helpful. Many thank’s for your informative website – Crawford (Scotland). Good question! It would depend on what size of dome you are planning on building and what “frequency” you choose. 3V and 4V are the most common ones that people tend to use. Once you have decided on the interior size and frequency of your dome then I can assist you in doing your basic materials calculation. Let me know and I will see what I can do. 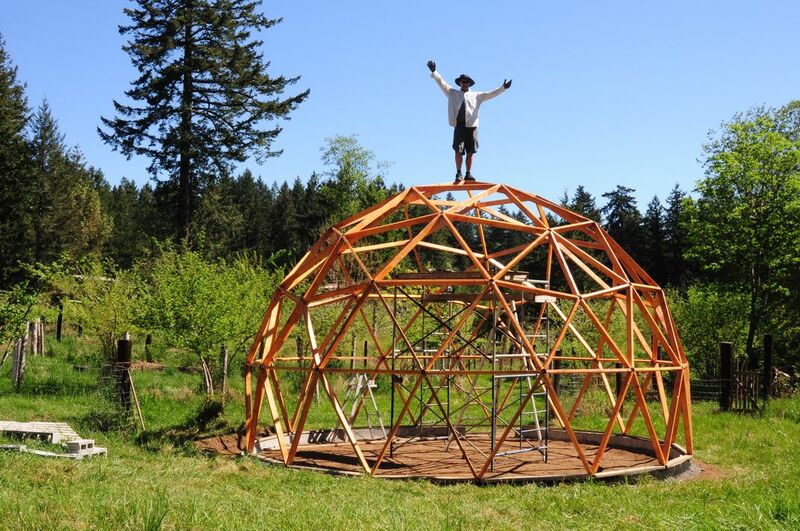 I am very interested on building a geodesic dome greenhouse, but I am having a hard time because the local building office is requesting a building permit, and an “engineer” stamp, as the Canada building code doesn’t seem to have any info on geodesic structures. Did you have the same problem when you erected yours? Do u have any idea about how to proceed? I am located in BC Canada. In most locations there are minimum floor space sizes for buildings allowed to be built without a permit. Check with your building inspector or city hall to find out what it is in your area. Also how tall you are allowed to build. Here I am allowed up to 12ft and 100sf of finished floor space but am allowed overhangs and slanted walls…. hmmmm sounds like a dome to me! So build your first dome after picking up the instruction bookhave the building inspector over for tea and see what can be done to get approved to build a bigger one! Let us know how it goes! Thanks for the heads up Robert. I appreciate the opinion of an experienced builder. As another experienced builder I have not noticed deck screws corroding or breaking prematurely in exposed wood structures. That of course takes nothing away from what you are saying. People need to take appropriate safety measures when building any building. So to that end I will do a post about connector plates as a way to not only eliminate the compound miter cuts but potentially prevent a failure due to improper fasteners being used. That being said in most jurisdictions a person would have to pass building inspection and they would most likely not pass a larger dome without approved connectors. That’s why most of the folks buying Kacper’s book start small and get a comfort with the technology first. And may build several small domes not needing code approval rather than the large size Kacper did. Please send me more info on your connector system and some pics too. As I know many people like to use a hub system when assembling a geodesic dome. What did the 500 dollars include? Was it just the frame? The wood for the frame only? How much does polycarbonate traingle panels cost for a 26 foot geo dome? Where can you get them inexpensivelly and do you have to cut them into triangles yourself? $500 built the 40′ wooden frame. Kacper had found a source for Poly Kedar and was going to cut and install the panels himself. However he due to life circumstances that portion of the build had to be put on hold. The advantage of wood for a dome in my opinion is the fact that one can attach things directly to it. last you years and get you growing for the least financial outlay. Later you could try any number of different types of covering material. Keep us posted as your project goes forward! The sheer number of different types of domes one can build is amazing. Can you send some pics of your connection hub? I would be keen to do a post about hubs as many people end up going that way. Hello, I plan to build a 20m diameter biodome hemisphere from timber and poltcarbonate sheeting but so many of the online angle guides contradict each other. Could you offer me some advice? I suggest grabbing Kacper’s bookand building a small “test dome” to work out the bugs before committing to such a large project. Then when you go ahead with the big dome you will have a geodome outhouse, garden shed or kids play house already built! Hi there all dome fans! I am currently building a 22ft dome in Sweden and was wondering about options to secure the glass on it? Any ideas? Depending on what your dome material is polycarbonate might be a better option. Polycarbonate panels are part of the group of thermoplastics, easy to work with, can be molded, and thermo-formed. The characteristics of polycarbonate are very similar to those of acrylic, but it’s stronger than acrylic. Polycarbonate lets in light, more so than most types of glass. It is many times lighter than glass and virtually indestructible, with a high strength to weight ratio. It can be held in place with screws, glued with epoxy and sealed with silicone, or held in place with support poles (ex: ice rinks). You can also weld it together. Though it is highly resistant to shattering, polycarbonate sheeting may get scratched for a number of reasons These scratches can be removed using special polishes or cleaning products, though some may be permanent. Over time, excess scratching can cause the surface to appear dull, and may reduce visibility and light transmittance. Send pictures of your geodome project too. When you have your complete system up and running let me know and I can do a review of it. 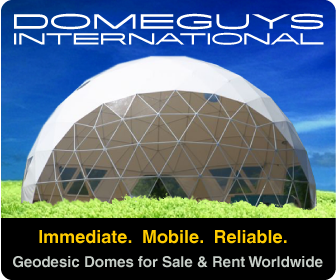 I sent the e-mail below and now I was wondering how you compare The easy dome to the Biodome Revolution 2.0. The reply I received from Kacpers sight was purchase them both and get my money back for the one you don’t want. We enjoy growing a garden and we have a 30X72 high tunnel which adds a month on each end of the season about a 6 degree protection. We are looking for more. I came across greenhouse in the snow or citrus in the snow and then saw a news clip on a school that put up a biodome from growing spaces. More searching lead me to your sight and the sight of I assume friend Sasha & Amy. Would you have a comparison on your plan verses the easy dome plan. I’m guess there might be a little bias in your answer but which one would be the best value. Was wondering if the book was available in paperback? Was wondering if book was available in paperback ? You can print however many copies you want from the downloaded PDF. I have a newbie question. Could these biodomes house bees and other pollinators? I haven’t able to reach you by email, so I’m hoping this way all work. I’m building a 75ft dome aquaponics greenhouse in Michigan (of all places, lol). I was gonna go with the rubble trench foundation but with our frost line being below 42″ and that size dome the cost for my trench is very high! Best options in your opinion? My next idea is to do concrete piers using big foot footing. Do you think this will work ok for this size dome? Also how high off the ground should the piers be? And should i still use plastic 2×4’s for the bottom set of struts? Thanks so much! 75 footer… Wow! I hope you have a lot of scaffolding, or a Genie lift and crane cause you are talking about a 47ft high dome! Building a dome this big without engineering is NOT RECOMMENDED! Before anything else I suggest building a few small domes rather than one giant one. As everything including heating will be easier. And you may find out that you can meet your needs with a smaller dome. 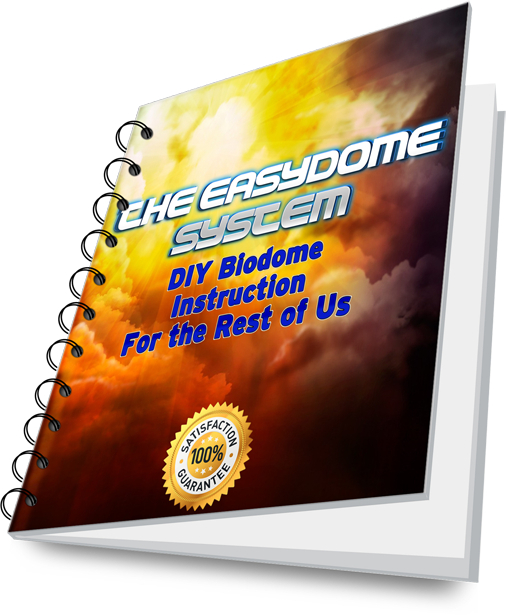 Also if you have the cash and the bravery and tools to tackle the 75ft dome using the EasyDome method. You must play with calculators at http://www.domerama.com until you find a design that allows your longest strut to be maximum 5-6ft otherwise covering, insulating etc. will be very inconvenient in not down right dangerous. If you are going to go 75ft in Michigan you must use 2 by 6 material for the struts and 1/4″ hot rolled steel for the hubs. You will also need to upsize all your fasteners of course. As for footings sono tube on footings below the frost line will probably be your best bet. As for height 16″ off ground for the base of the dome should be fine. Because the you are now fully off the ground, as long as you have a moisture barrier between your cement and your wood you are fine to use wood rather than plastic for the bottom struts. Or better yet find some kind of Simpson brand saddle that you can embed in the cement to accept the first course of struts. Also you will need to infill between your cement piers of course. I would talk to your friendly local contractor and ask about best practices for foundations for non living space buildings. Don’t forget building inspectors unless you are in a non enforced area. Just ordered your book, and am interested in finding more information about the “hubs” for geo center conection points. Second – Do you have additional information or pictures of the strap method of forming the hubs? I plan to build a 40′ diameter dome, so would be using 2X4 construction. Third – Do you know if there are any “Dome” building supply outlets that sell hub materials for either the pipe of metal connectors? Your book looks great, I have Kacper’s Biodome book as well, so should be all set for my project if I can find out a little more about the hub alternatives to the miter cuts. All the information regarding how to do the hubs is in the book. Let me know if you have questions after reading. As for a dome building supply outlet I don’t know of one. I just hit the local lumber yard for my bits. You could of course build a dome anywhere. However one needs to ask why? Are you doing it for wind protection? Water conservation? Nighttime heat retention? Pest control? All of these are reasons why a dome in NV would be good however for some of them, you may only want to cover it with screen instead of poly. You still get many of the benefits but minimize the heating issue. Also mist emitters are a great way to cool and hydrate your plants when it gets hot inside. If nighttime heat retention is the goal then looking at shade and cooling strategies for the daytime would be your next step and some mass (water tank) to store heat for the nighttime. I saw your New webinar with Kacper (click link if you wish to check out the replay. Admin) and want to know a little more detail on your connection/hub system! I will gladly pay for the book and support but what are they made of and how foolproof simple is it/ how strong? The Natural Spaces Domes has a connector system that is pricey but very proven! If I am building the hardware my self how difficult is it and is material easy to locate? Please reply and send a picture! Thanks for the question. Our hub system is simple, flexible, easy to assemble and super strong. Plus it costs a fraction of what commercial dome connector kits are selling for. In fact for you can build a complete Biodome Revolution geodesic greenhouse for less than the cost of most hub systems! If I purchase your current ebook here does it include the newest “Hybrid Connector” design? I built a 30 foot kit in the mid ’80s and helped build 3 Timberline Geo homes. I am always looking for ways to overcome mistakes from the past. Please advise. The ebook is all one needs to build a basic ultra strong, beautiful and efficient geodesic greenhouse. If you are looking for more “high tech” solutions for living in or want to buy fancy connectors then probably this isn’t quite the right thing for you. The geodesic greenhouse eBook is in PDF format so you can get it printed at your local copy store or even get it hard bound if you want. I am looking at just in time printing but so far its quite far down the to do list. Just updated the biodome calculator in the members area. Let me know if you need any more assistance with the geodesic greenhouse build. 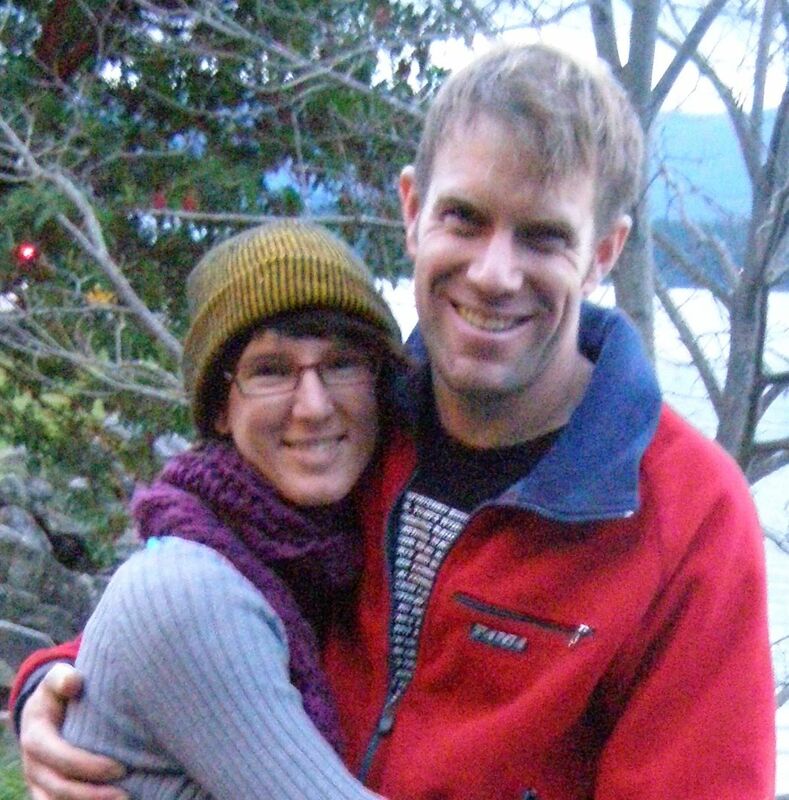 oh, forgot to say that I live in Edmonton Alberta, but sometimes go to Victoria and montreal to visit family.